IFMA Preventive Health Management Inc.
To determine the number of reproducible dimensions inherent in the COPE instrument, our Neural Network analysis used independent learning and verification samples. We found 2 highly stable and reproducible scales (personality traits) that explained the observed inter-individual variation in coping behavior sufficiently well (68.6%) and in a socio-culturally independent way. The new COPE scales included 17 and 11 items, respectively, and reflected basic coping behavior in terms of "activity" (activity-passivity) and "defeatism" (defeatism-resilience). Activity is best described through items like "turning to work", "getting help and advice from other people", or "coming up with a strategy". Defeatism is characterized by behavior like "giving up", "using alcohol", or "refusing to believe that this has happened". "Passivity" is understood as negative scoring on the activity scale and "resilience" as negative scoring on the defeatism scale. The term "resilience" encompasses all those endogenous mechanisms that support and maintain health, thereby enabling subjects to cope with stressful situations. 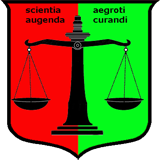 The factors "alcohol consumption", "regular use of medicine", "illegal drugs", "impaired physical health", "psychosomatic disturbances", "impaired mental health", and "regular exercises", were used to estimate the extent to which the new scales are inter-related with consumption behavior and health problems. Our analyses underlined the close relationship between insufficient coping behavior and general health: The higher a person's defeatism score the higher the impairment regarding physical and mental health, combined with the consumption of illegal drugs and a significant lack of physical activity. 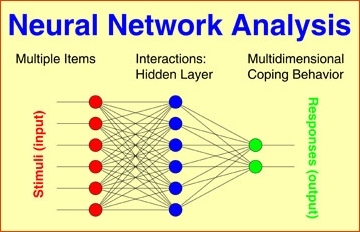 Neural Network approaches connect the "neurons" of input and output layers via one or more "hidden" layers in such a way that the final model optimally predicts coping behavior scores from the subjects' item scores.